Joey Davis: "Being a role model is what I am alive for"
In August of 2015, the biographical movie, Straight out of Compton hit theatres across the world. The film tells the true story of the hip-hop group, N.W.A., who are widely considered pioneers of the gangster rap music genre. The group consisting of Ice Cube, Eazy-E, MC Ren, DJ Yella, and Dr. Dre, were able to become commercially successful while telling the struggles of young black men growing up in the rough urban street of Compton, California. When many hear the word Compton, they immediately think of the controversial music group, who many would consider being bad influences with songs like F*ck the Police and Real Ni**az. 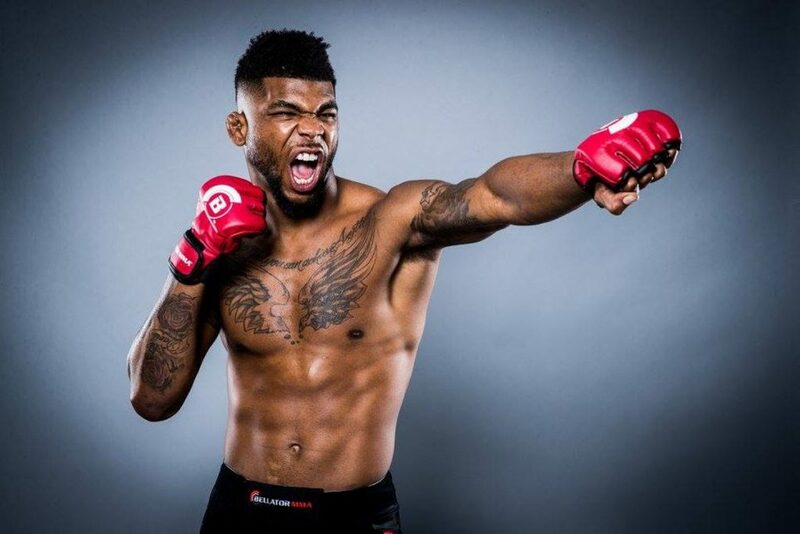 Bellator’s blossoming welterweight prospect, Joey Davis, who was born and raised in Compton, has the ambition if representing the community in a positive way. While many of the people surrounding Davis turned to joining gangs and a life of crime, he was able to avoid trouble by finding an unlikely outlet. The young man nicknamed “Black Ice” found the sport of wrestling, where he didn’t just thrive but became a legend. After winning two California state titles in high school, Davis attended Notre Dame College, where he became the only wrestler in Division II history to win four straight individual National titles while also completing his collegiate career with a perfect record (133-0). Since ending his run in amateur wrestling, Davis turned to MMA, where he has been competing professionally for three years now while compiling a 4-0 record. All his bouts thus far have come under the Bellator banner. “The hardest thing going from wrestling to MMA was making my mind up to have the lifestyle of the MMA fighter,” the 25-year-old said. “I had to separate myself from my old friends. I couldn’t hang out with my friends anymore. When you’re a professional it has to be a lifestyle. You have to treat yourself like a Corvette. You have to be on time. You have to leave the gym late”. The former All-American credits being a member of the prestigious Bodyshop team with AJ McKee and Aaron Pico for helping him stay focused. While Davis wrestling accolades have created much buzz and high expectations from fans and media members, he acknowledges that he has to continue to sharpen his skills if he will be able to accomplish his goals. Davis is expected to fight at Bellator 219 on March 29 but an official fight has not been announced at this time. He was originally rumored to face Jesse Merritt but the fight appears to have fallen apart. Davis says he does not have a preference in who he fights. Whoever Davis battles with, he should have the boyz in the hood (N.W.A. pun) supporting him.